Joey graduated from Central Washington University with a Masters in Exercise Physiology. During his time at CWU he was the assistant strength coach for the majority of the athletic programs. He provides proper workouts and program design for all populations, age groups, and specific needs. 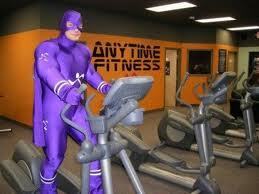 Currently he is the fitness training manager of Anytime Fitness in Buckley and Orting. At these gyms he trains everyone from weekend warriors to professional athletes. Joey is an avid powerlifter and enjoys being active outside whever possible.